From quiet, off-the-beaten path parks to canyons that boast bioluminescent species, sometimes, the road less traveled often offers a more memorable experience. Places that are less widely known are rich with the possibility of new discovery—which can be an adventure in itself. Here, we dig into some lesser-known outdoor destinations from in the northwestern part of Alabama, stretching from Winston County to Tuscaloosa County. Use it as inspiration for your next Alabama adventure. This location in the northern reaches of Alabama often falls outside of the collective radar despite the fact that it offers a natural wonder often associated with exotic locations: bioluminescence. The organisms responsible for this phenomenon are a variety of gnat larvae otherwise only found in Australia and New Zealand. These tiny creatures are known to locals as “Dismalites” and are picky when it comes to suitable habitat. They are also responsible for the otherworldly blue-green glow that emerges from the canyon at twilight. The glowworms emit this light as a means to attract food. 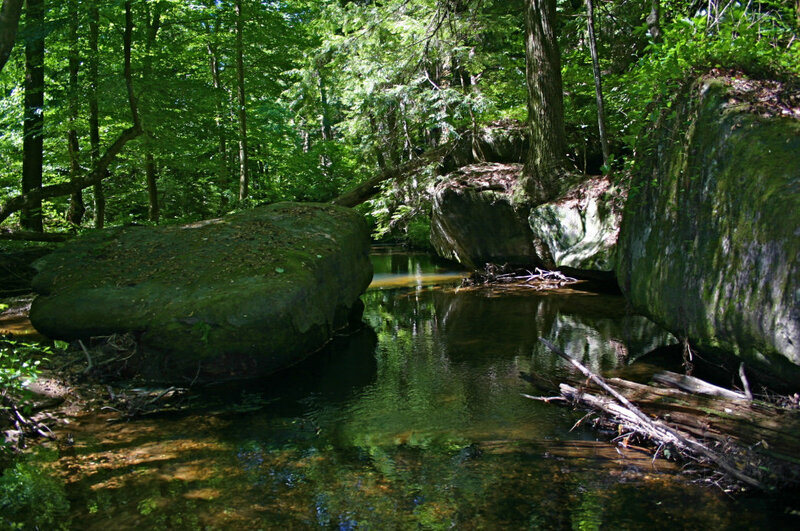 Visitors to the canyon, which is located near the Sipsey Wilderness, might also appreciate the Canadian Hemlock trees. These giants tower up from the canyon floor and are thought to be some of the largest species in the state. This abandoned structure in Northport has a reputation for being haunted. 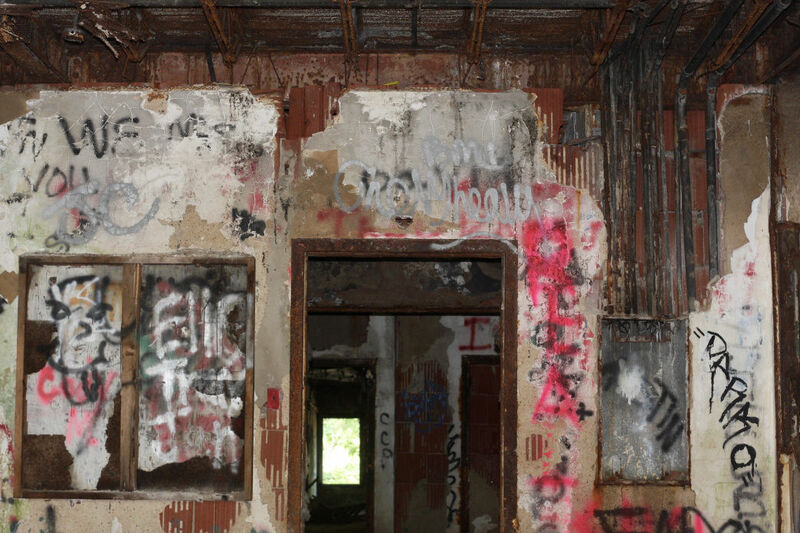 While the claims of the ghostly inhabitants of the Jemison Center have never been verified, it still captures the collective imagination as a symbol of a bygone era. In its heyday, the Jemison Center was a mental health care facility and self-sufficient farm. In its present state, however, the structure is more a post-industrial skeleton or artifact. The long, narrow passage of trees along the mile-long driveway beckons visitors from the nearby industrial park. When coupled with the broken pavement leading up to the old facility, the setting lends itself to horror-film aesthetics. It’s hard to imagine the now graffiti-strewn hallways as a bustling health care center, but the echoes of the previous inhabitants seem to be lurking around every corner. It’s well worth a visit for photographers who like to shoot industrial subjects—or anyone who relishes a bit of the eerie with their explorations. About an hour south of Birmingham on the shores of Holt Lake in Tuscaloosa County, Deerlick Creek Park is a hidden gem that offers the unique quietude only found in locations less traveled. 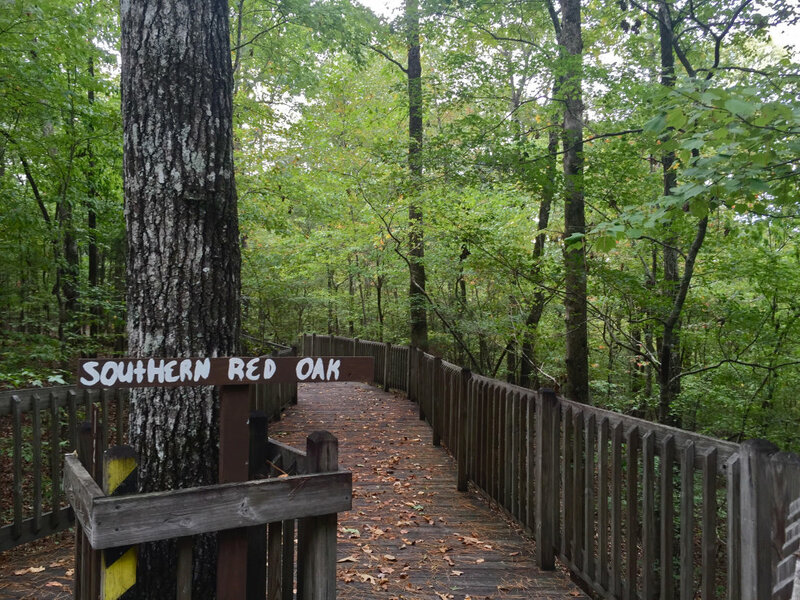 Seventeen state-specific varieties of flora await visitors on its hiking trails, from red maple to loblolly pine. Strolling among the handmade wooden signs and bridges along the trail, visitors of all stripes can tap into their inner botanist. In addition to the many hiking trails, are nearly 50 campsites that are open from March through November, so overnights here are recommended to get the most out of the experience. Campsites are also particularly wallet-friendly at $16/night for primitive sites (or a max of $24/night for RV-hookups).Another bonus? 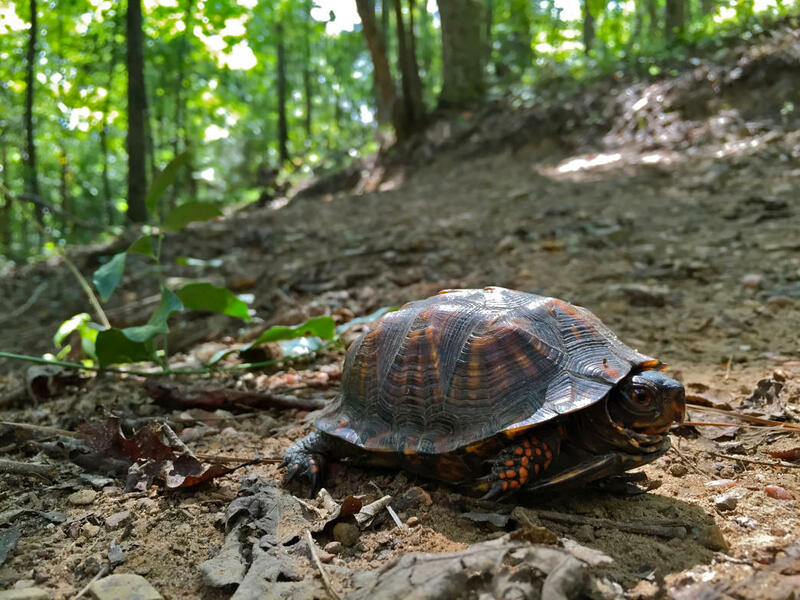 Even with its beautiful trails and campsites, Deerlick Creek isn’t as popular as many of the other campgrounds and state parks in the greater Tuscaloosa area, offering a much more peaceful way to appreciate this under-the-radar gem. Hurricane Creek is a mountain biking destination just outside Tuscaloosa city limits that can be overshadowed by spots like Lake Lurleen, Tannehill, and Oak Mountain. Evergreens and scrub oak trees greet visitors here, which also has a short-but-sweet 4.3-mile trail system. While the North Loop and South Loop are best suited to beginners, the trailhead entrance and APCO road portions offer more technical sections that cater to advanced riders. 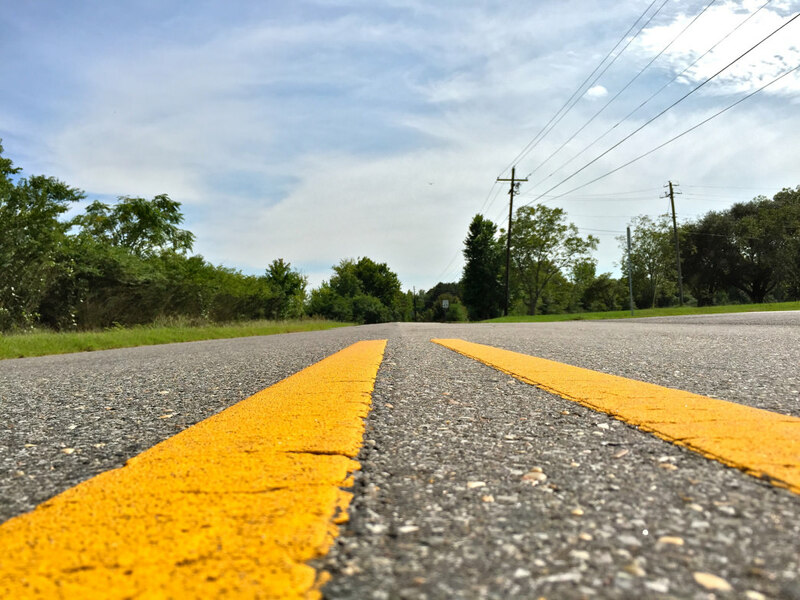 This stretch of country road is well worn by local road cyclists, but for many visitors to the Tuscaloosa area it remains an unknown. Sanders Ferry and Black Warrior roads serve as the launch pad for loops traveled by local cycling clubs and larger group rides for a number of reasons. The relative lack of elevation change and low motor-vehicle traffic are nice perks, as is the peaceful setting of light industry and agriculture commingling with huge expanses of pasture. 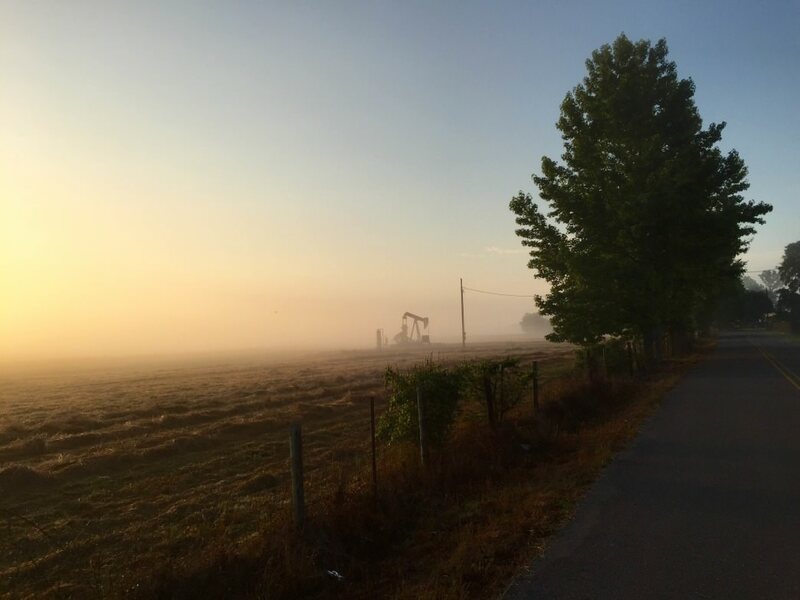 Pumpjacks moving in steady rhythm while drenched in an early morning fog offer a unique and strangely beautiful backdrop for a ride or Sunday drive. The out-and-back loop is about 23 miles from the Embassy Suites parking lot downtown. Get out there early or late, especially during the hottest summer months, to savor the experience at its best. Originally written for BCBS of AL.